Multiple daily servings of fresh fruit are known to reduce weight and supply vitamins, minerals, and fibre. But your trusted Gold Coast chiropractor at Hinterland Chiropractic also wants patients to know that fruit has the ability to dramatically reduce risks for chronic diseases, such as cancer, cardiovascular disease and diabetes. 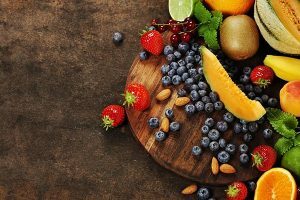 Among other wellness-boosting ingredients, fruit contains flavonoids, molecules with vast health-promoting effects ranging from anti-cancer, anti-inflammatory, anti-bacterial, to anti-viral. Flavonoids also promote antioxidants, which can prevent or delay cell and tissue damage and disease. The old adage “An apple a day keeps the doctor away” turns out to be true. An apple-rich diet may ward off lung disease. Researchers studied 2,512 men aged 45 to 59 over a five-year period and determined that those who ate five or more apples per week had significantly stronger lung function, compared with those who ate few apples (Thorax 2000;55:102-8). Berries possess powerful anti-cancer properties – they have the ability to inhibit the growth and stimulate the death of cancer cells. One study included extracts of six of the most popular berries evaluating each berry’s ability to inhibit growth of oral, breast, colon and prostate tumor cells. As the concentration of berry extract increased, so did its cancer-fighting properties (J Agric Food Chem 2006;54:9329-39). Figs provide a rich source of dietary fibre and contain powerful, disease-fighting anti-oxidants. Oxidative stress turns healthy cells into diseased ones, which occurs in cancer, heart disease, Alzheimer’s disease, and many other conditions. Vitamin C is associated with oranges and bananas are associated with potassium. But did you know they help prevent childhood leukaemia? Grapes are packed with vitamins and nutrients with the skin being most nutrient-dense, containing a natural compound called resveratrol, which may help protect against cancer. Research shows that in human and mice experiments, resveratrol fought cancer in its three states: initiation, promotion and progression (Toxicol Appl Pharmacol 2007; Epub ahead of print). When researchers examined food-frequency questionnaires from 34,489 postmenopausal women, they found that pears were among the top flavonoid-rich foods to reduce the risk of coronary heart disease and other vascular diseases. The study’s data was drawn from three national databases and 16 years of follow-up research (Am J Clin Nutr 2007;85:895-909). Yes, avocados are a fruit! And they may reduce un-healthy forms of cholesterol. One analysis tracked 37 individuals with mildly elevated cholesterol and 30 healthy subjects with normal cholesterol. After an avocado diet, healthy individuals enjoyed a 16 per cent decrease in total cholesterol. Those with mildly elevated cholesterol benefited with a 17 per cent decrease in total cholesterol, 22 per cent less bad cholesterol and 11 per cent more good cholesterol (Arch Med Res 1996;27:519-23). At Hinterland Chiropractic we provide holistic advice and treatment for a variety of health problems including dietary ones. We are always happy to see new patients!